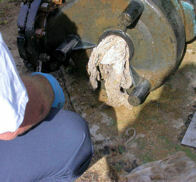 Many wastewater treatment professionals agree that clogged pipes can cause big and costly problems. As these problems arise, Water Environment Federation (WEF; Alexandria, Va.) members are documenting costs spent on maintenance and repairs and are working to identify culprits. 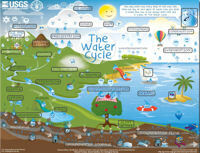 Not many restaurant openings capture the attention of Water Environment Federation (WEF; Alexandria, Va.) staff. 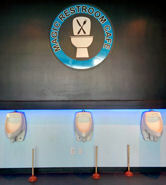 But then again, not many restaurants sport the ambiance and décor of a water closet. The place is the Magic Restroom Café (City of Industry, Calif.), the first restaurant in America to celebrate toilets, bathrooms, and their associated trappings. DC Water (Washington, D.C.) has been working to spread the message that tap water tastes great and offers a cheaper, more environmentally friendly alternative to Washington, D.C.-area residents. The utility has been hosting taste test challenges and partnering with the organization TapIt (New York) on various outreach efforts including the recent release of a tap-water locator app, according to Nicole Condon, water communications coordinator for DC Water.